Over the course of the next few months, HorseChannel.com will be giving readers an exclusive behind-the-scenes look into the Maker’s Mark Secretariat Center (MMSC), a premier racehorse re-schooling facility. 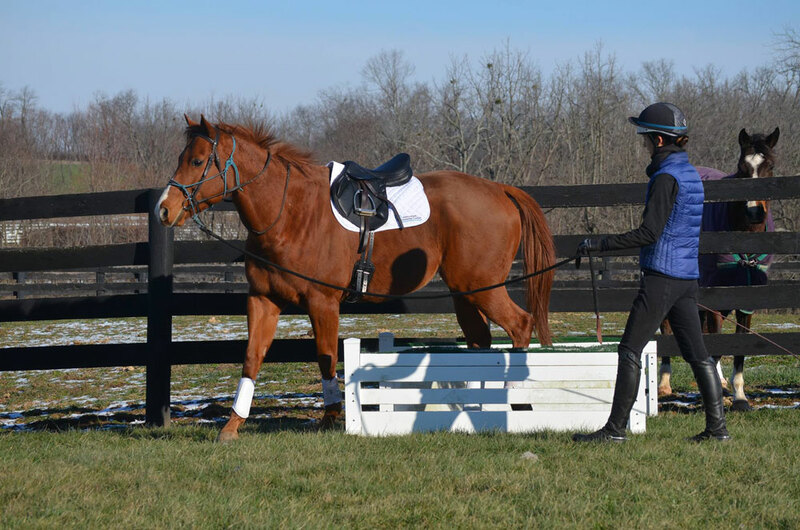 Located at the world-renowned Kentucky Horse Park in Lexington, MMSC uses a Horse Centered Reschooling Program (SM). It enables retired Thoroughbreds to learn the skills necessary to move on to new careers. To satisfy the demand for adoptees with HCRP foundation, Maker’s Mark Secretariat Center is now offering a custom training program, which allows adopters to keep their horses at the center for additional training prior to shipping out to their new homes. Since January 2016, the MMSC has secured eleven different adoptions of retired Thoroughbreds going to loving homes with the high hopes of excelling in their second careers that vary from eventing and show hunters, to dressage and trail riding in the hill country of Oregon. As the demand for adoptable Thoroughbreds increases and horses move quickly through the center, Horse Channel.com will be introducing the horses that arrive at Maker’s Mark Secretariat Center and their journeys into a second career. Yes It’s True x Time for Romance. 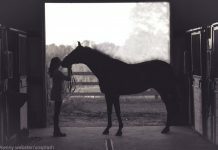 Before coming to Maker’s Mark Secretariat Center as an unraced Thoroughbred, Courting had spent time training as a show hunter. Riding in open fields and jumping cross-country fences are his new favorite activities at the MMSC. He would be the ideal mount for a first time horse owner or a rider in his or her “September” years who is seeking a reliable mount. Icefield showed promise on the track until condylar bone bruises sidelined him. Godolphin Racing made the decision to retire him and he arrived at MMSC in January 2016. Being a smart and quick learner. Ice has proven to be a lovely mover with athleticism and potential to excel in many disciplines. On top of all these qualities, Ice’s best feature is his utterly earnest attitude. Shopping Spree is all class-in his looks, his attitude and work ethic. This handsome, 16.2-hand bay has a small bone spur in his ankle, but that doesn’t stop him from traveling with an easy and even rhythmic stride. To mitigate the possibility of further damage, the MMSC has not asked Spree to jump but is training him for a dressage career. 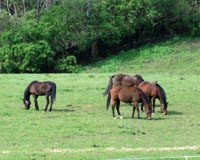 Courting, Icefield, and Shopping Spree come from very different backgrounds and have led very diverse lives, exhibiting the wide variety of horses that come to the MMSC. Susanna Thomas and her staff are working with each of them to find their strengths and weaknesses and prepare them for the next stage of their lives—a second career. Maker’s Mark Secretariat Center is a premier reschooling facility and showcase for adoptable Thoroughbreds. Founded in 2004, the MMSC uses its location in the Kentucky Horse Park to herald the athleticism of this amazing breed by teaching new skill sets to horses of all levels of ability so they can go on to be ambassadors for racehorses in new careers. To learn more, please visit www.secretariatcenter.org. 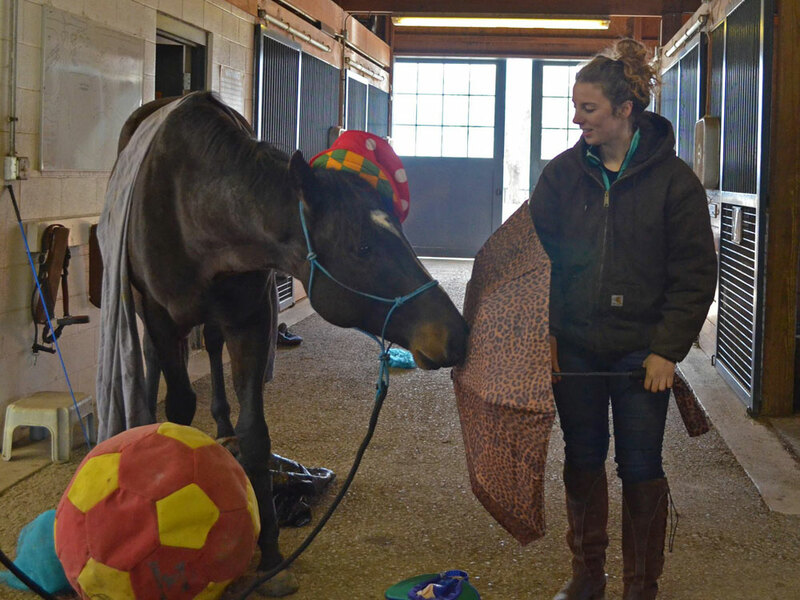 Please Help the Kentucky Equine Humane Center win a $20,000 grant!